The Xiaomi Mi 2A is an NFC smartphone which is available in China and runs MIUI 5, a customised version of Android 4.1 Jelly Bean. The handset features a 4.5-inch touchscreen with a 720p resolution. The Mi 2A has a dual-core 1.7 GHz processor and 1GB of RAM. It also features 5GHz WiFi and a new audio engine co-developed with Swedish sound specialist Dirac Research. 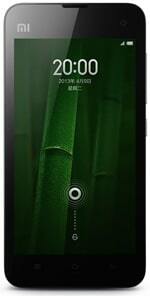 The Mi 2A was announced in April 2013 and became available in China in May, selling for ¥1,499 (US$240) SIM-free. The Xiaomi Mi 2S, announced at the same time, does not support NFC.